Business description - Originally incorporated as Suvarnkrupa Ornaments Private Limited in 2013, the company’s name was changed to Kenvi Jewels Private Limited on 14 August 2017. The company is primarily into the business of manufacturing and retailing of jewellery. Kenvi Jewels is also into wholesaling and trading of gold jewellery. The designing of its jewellery is done in house which is manufactured at its manufacturing unit situated at Manek Chowk. Further, the company also gets its jewellery designed by third party designers as and when required. It sells gold jewellery made with or without studded diamonds, precious and semi-precious stones. 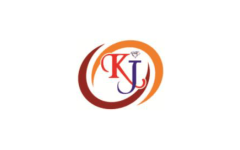 Kenvi Jewels’ product portfolio includes Wedding Jewellery, Festive Jewellery, Rings, Chain, Earrings, Ear Chain, Nose-rings/Nose pins, Waist belts, Mangalsutra, Anklet, Zuda, Toe Ring, Pendant Set/ Pendant, Bracelet and Bangles. As on the date of this Draft Prospectus, the company’s retail business is done through its showroom situated at Odhav, Ahmedabad and its jewellery is sold under the brand name of “Suvarnakrupa”. Kenvi Jewels IPO allotment status is now available on Karvy Computershare’s website. Click on this link to get allotment status. Profit Margins are too less this is doesnt look good.